The Prairie City School District No. 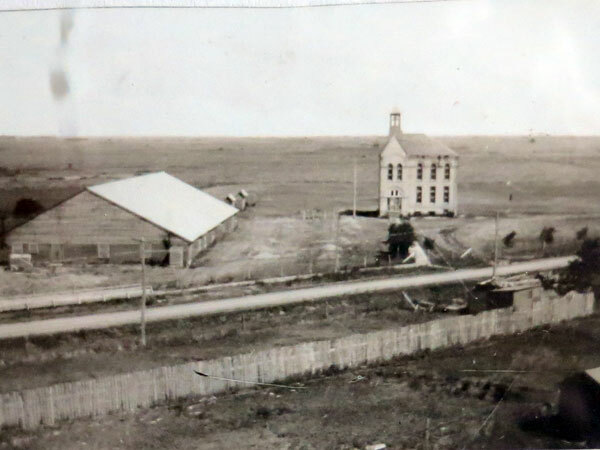 1111 operated in Snowflake in the Rural Municipality of Pembina from April 1901 to March 1910, when Snowflake Consolidated School was established. It eventually merged several small rural schools, including Snowflake School No. 283, Willowdale School No. 309, Star Mound School No. 413, Valley View School No. 666, Carthage School No. 752, and Aberdeen School No. 761. 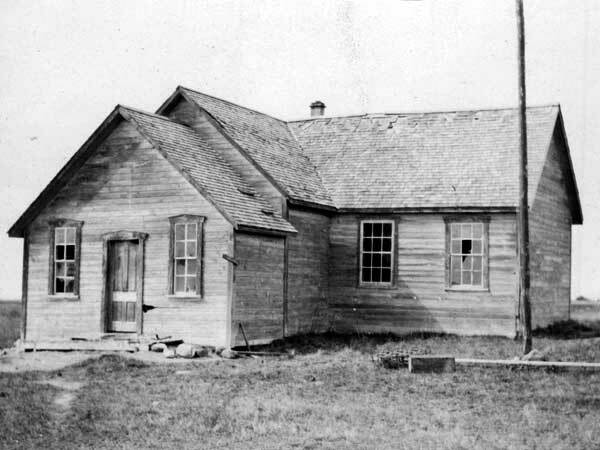 The two-storey brick school building, constructed in the fall of 1911. It later became part of the Pembina Valley School Division and continued operating until 1992 when it closed. The building was demolished sometime after 1996. 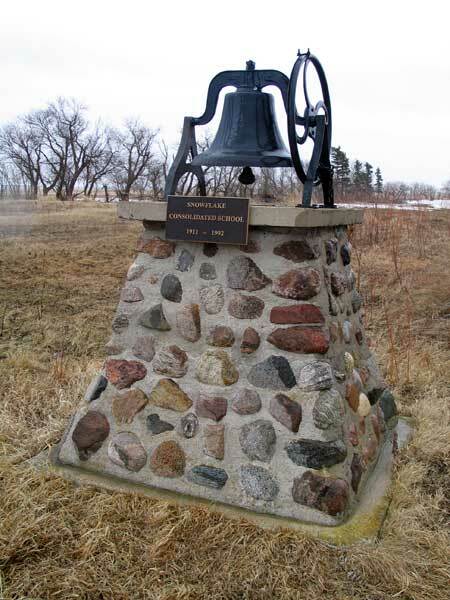 A monument near the site is topped by the school bell. 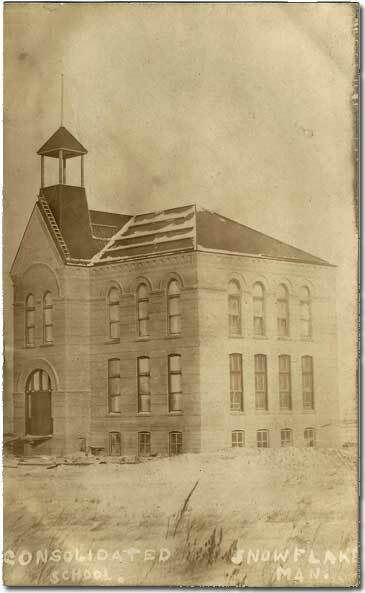 Source: Archives of Manitoba, School Inspector Photos GR2664, C65. 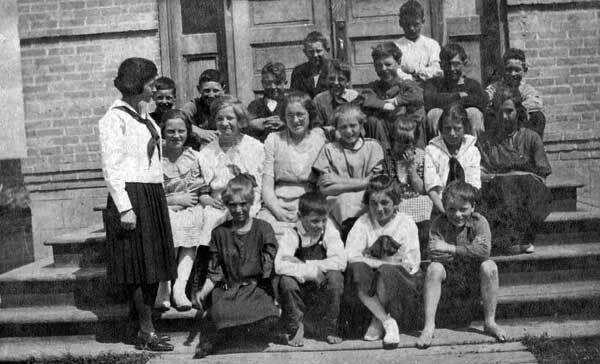 Teacher Marjorie Davidson with students on the steps of the Snowflake Consolidated School (1922). In the lower right corner, the barefoot boy is Blake Nash, son of Rev. Samuel Nash, minister at the Snowflake Anglican Church. Source: Archives of Manitoba, Architectural Survey - Snowflake 1. 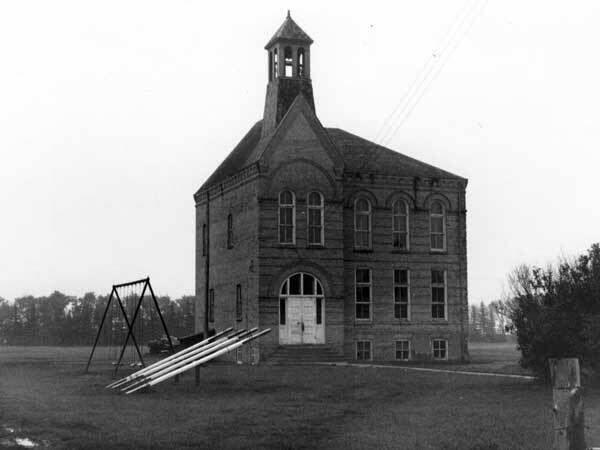 “Tenders [Brick school building, Snowflake],” Manitoba Free Press, 14 July 1911, page 2. “Assailant is U. S. escaped convict,” The Mail Herald [Revelstoke, British Columbia], 20 September 1911, page 6. “Snowflake School nearing completion,” Manitoba Free Press, 18 October 1911, page 10. 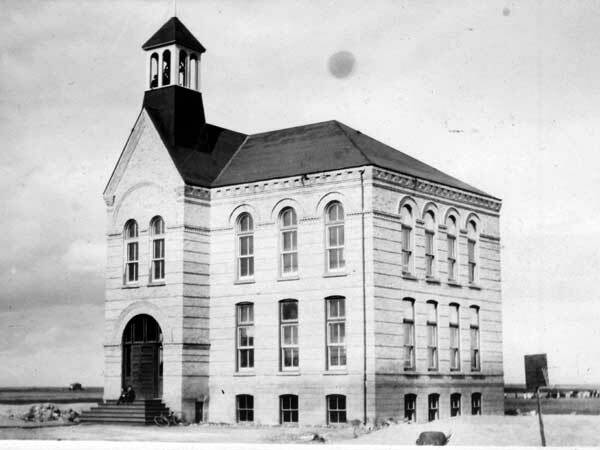 Manitoba School Records Collection, Snowflake School District No. 1111 - Daily Registers, GR5330, Archives of Manitoba. Manitoba School Records Collection, Snowflake School District No. 1111 - Daily Registers, GR10357, Archives of Manitoba. Manitoba School Records Collection, Pembina Valley School Division No. 27 (Snowflake School) - Daily Registers, GR10357, Archives of Manitoba. We thank Carol Hooper for providing additional information used here.